Ish Sodhi has heaped praise on Chennai Super Kings skipper MS Dhoni&apos;s incredible ability to analyse and control the game under the pump. 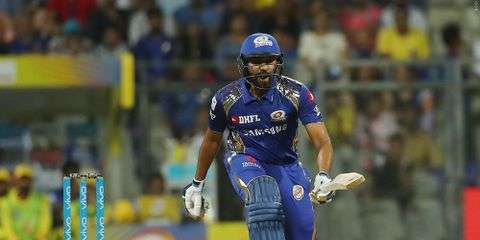 The 26-year-old Rajasthan Royals spinner has played 80 games for New Zealand so far and believes he still has a lot to learn from the likes of Dhoni. MS Dhoni has nearly played for 15 years for India now, and over the years, he has earned the tag of being the finest finisher in limited overs cricket. The wicket-keeper batsman, who has played 341 ODIs and 310 T20s, has massive respect for his ability to analyse a game, and win it after taking it till the end. New Zealand spinner Ish Sodhi believes that mental clarity is of paramount importance in a game like cricket, and remarked that is what enables Dhoni to perform consistently. "I think mental clarity on one&apos;s role is very important. The ability to slow the game right down and that&apos;s something that I am starting to really respect and understand watching MS Dhoni when he plays, looks like he really slows the game down, understands exactly what he needs to do and then goes out and tries to achieve that," stated Sodhi, reported PTI. "Players may not win you every single game like that but they will come quite close and put up consistent performances," he added. Ish Sodhi has been a regular feature for New Zealand, at least in limited overs, since his debut in Tests in 2013. The leg spinner has been consistent for the Kiwis over the period in which he has played 17 Tests, 13 ODIs and 33 T20Is. However, he states that great players play consistently over a long period time, while implying his desire to have a long career. "I suppose consistency comes from a really clear mindset. That&apos;s what we are striving for as cricketers, it&apos;s nice to contribute once in a while, that&apos;s amazing to contribute to wins. But contributing over a long period of time, I think is what separates the class players from the world class players," expressed the former U-19 World Cup player. The Ludhiana born player, who will take part in his first ever World Cup, has played 128 T20s, along with over 70 List A and First Class games. 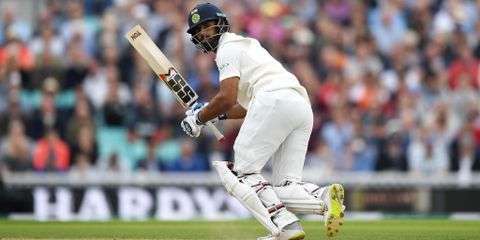 He also has 123 wickets to his name in international cricket across all formats, but stressed on the fact that he consistently wants to churn out good performances for his national team as well as his Indian Premier League franchise Rajasthan Royals, for whom he is yet to play a match this season. "I being 26 years old, I have played a lot of cricket, but I am still a reasonably inexperienced person and so I am looking to keep growing my game. I want to put up good performances for Rajasthan Royals, put performances for New Zealand over long periods of time. I just don&apos;t want to do it tomorrow or the day after, but I want to do it for a long period," said the World Cup bound player. The cash rich league will conclude in the second week of May, leaving about two week&apos;s gap before the World Cup, which begins on May 30 in England and Wales. There has been a lot of talk around the workload management of players who will take part in the quadrennial event. However, Sodhi remarked as to how he will use the IPL in order to prepare for the marquee event. "I have been working with some very good coaches who help me tremendously over the past couple of years as well. I am just making most of my time, I am trying to keep improving and get better in these conditions, see what I can use in these conditions here that will be helpful for me in UK as well," he signed off.